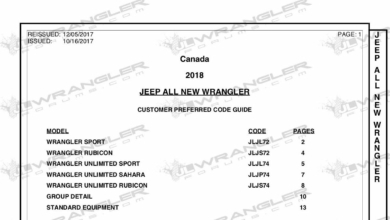 We’ve just posted the latest order guides for the 2018 JL/JLU Wrangler Sport, Sahara and Rubicon models for the U.S. market. This version finally includes complete invoice and MSRP pricing for all trims, packages, options and equipment groups! See the latest 2-door 2018 Jeep Wrangler JL order guide. 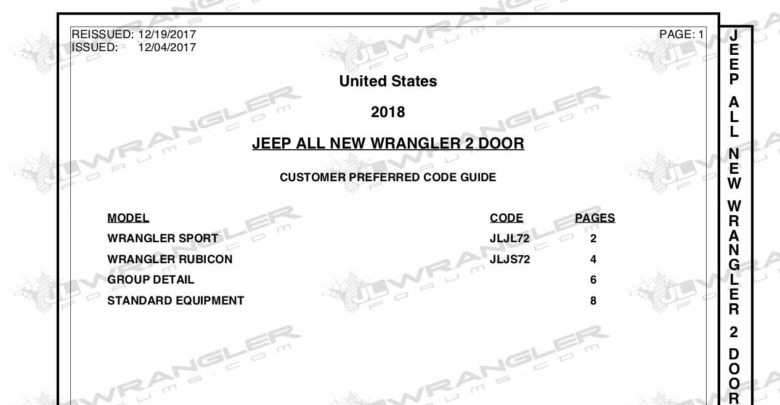 See the latest 4-door 2018 Jeep Wrangler JLU order guide.